The Lenovo K3 Note is proving a bit hit among buyers who want a decently specced smartphone with an affordable price. It has a lot to offer for the money, and so many consumers will be considering it as their next smartphone. It’s always a good idea to check out some benchmark testing on a new device, and today we’re sharing a video showing Lenovo K3 Note benchmarks and the results compared with numerous other smartphones. We’ve reported many times now on the Lenovo K3 Note, and for full specs you can check out our previous articles on the phone from this page. These include specs comparisons of the K3 Note against other handsets such as the Moto G 2nd gen, Lenovo A6000 Plus, and more. As a reminder of key specs though we can tell you that it has a 1.7GHz octa-core processor, Mali-T760MP2 graphics, a 5.5-inch display with resolution of 1920 x 1080, and 2GB of RAM. The phone’s price is Rs. 9,999 and it sold out in just a few seconds during the recent first flash sale for India. Beneath this article we’ve embedded a YouTube video from Fone Arena that shows benchmark tests being conducted on the Lenovo K3 Note. 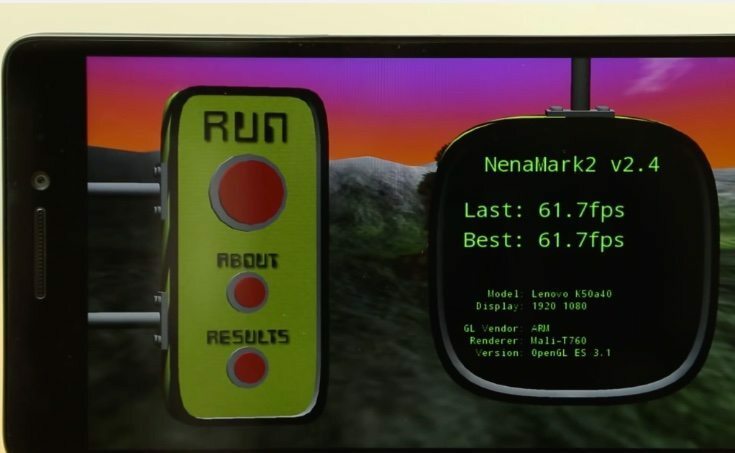 The different tests involved are Quadrant, AnTuTu 5, Vellamo 2.0, Linpack, GeekBench 3, Nenamark 2, GFXBench, Basemark X, 3DMark Ice Storm Unlimited, and Basemark OS II. At the end of each test a table shows the result of the Lenovo K3 Note and how it stands against other phones. Just a few of the other handsets included in the listings are the Coolpad Dazen X7, Xiaomi Redmi Note, Lenovo A7000, Yu Yureka and Sony Xperia M4 Aqua. We won’t give each individual result for the K3 Note here as you can see them all when you view the video below. We will say though that for the vast majority of the tests the Lenovo K3 Note is in the first half of the table, and in the Basemark X and Geekbench 3.0 testing it comes out top. When you’ve checked out the video it would be good to hear from you. If you were considering purchasing the Lenovo K3 Note are you satisfied by the benchmark scores it has achieved? Send your comments using the box provided below.